Manual fruit shredder works without any electric power. Manual shredders are suitable for crushing fruit and berries before pressing. The shredder is equipped with two rollers that have grate-shaped stainless steel blades. Manual fruit shredder is driven by rotating a large flywheel on the side of the shredder. The massive flywheel gives an inertia which eases the power that is needed to operate the shredder. For smooth and convenient operation, the apple shredder should be placed on a stable support, for example, between two chairs or tables. 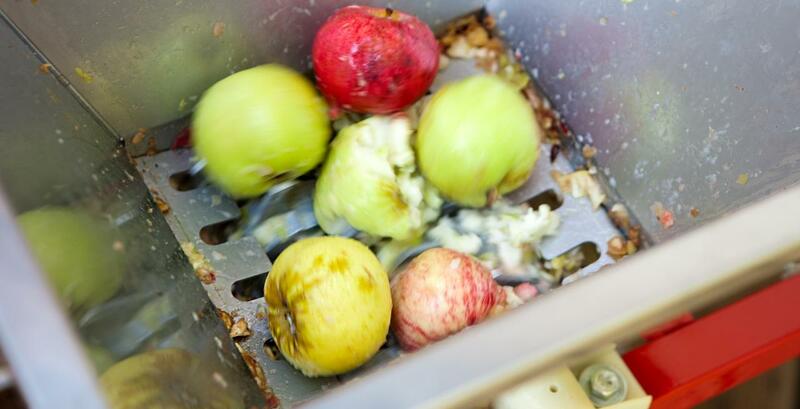 Also open-top tank or bucket should be placed under the shredder for collecting crushed apples. We advise two people to work with this shredder. One is operating the shredder by turning the flywheel and the other is inserting fruit into the funnel. It is possible to shred up to 300 kg of apples per hour by doing so. 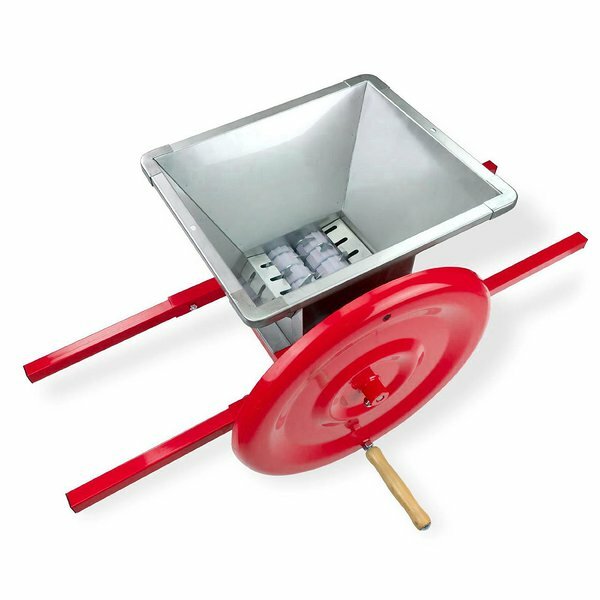 The handy apple shredder is well suited for a small apple garden owners or for those who are making apple juice several times but in a small patches at a time.